Hello everyone, today we’re taking a look at some of the best Aviation watches available for men. I’ve had a lot of fun putting together today’s latest list, Pilot style watches are some of my favourites so I’ve loved looking at the details for all these watches. I’ve managed to include something for everybody, from affordable pilot watches, all the way to higher end luxury aviation timepieces. To find out an up to date price for any of the watches featured just click through to their sales page using the ‘view details’ tab. We have 19 watches to take a look through for our main list today, but for fun at the end I’ve added 5 ultra luxury Pilot watches that would set you back a small fortune. These are purely for those interested in what a £5000+ watch would look like. I hope you enjoy taking a look through these most popular aviation watches, as always let me know what your favourite was in the comments section below. 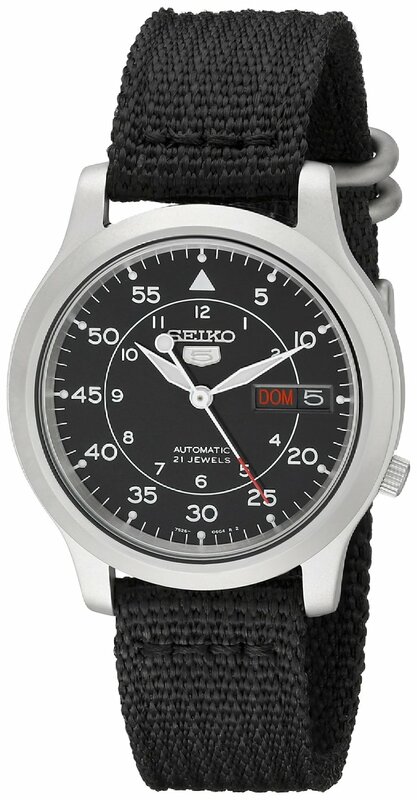 If you were seeking a cheap aviator watch then this affordable watch from Seiko is well worth checking out. This is one of Seiko’s most popular watch models and a fan favourite of readers of The Watch Blog. It features a 21 jewel automatic movement, day & date display, and a 30m water resistance rating. It’s also part of Seiko’s popular Seiko 5 series which offers great value for money throughout. 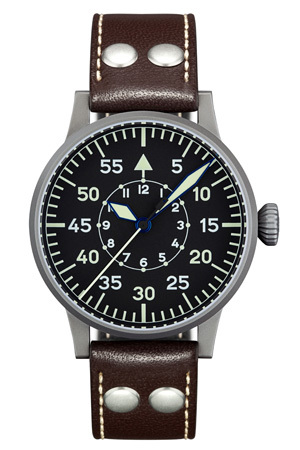 Is this the best pilot watch under 500? It certainly offers some of the best value for money. You can read my full Seiko SNK809 review here. This model is also available in a variety of colours that can be seen here. 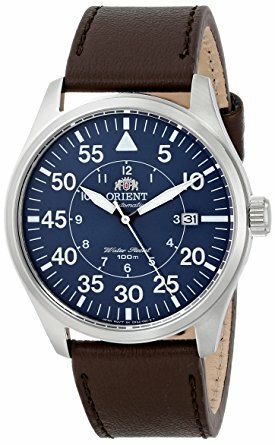 For those searching for a Pilot watch under £100 then this beauty from Orient is worth looking into. The watch has a clear easy to read display as we’d expect to see in most flight watches. Features include the use of a high-quality lume on the hands, an automatic movement, date display, and a 50m water resistance rating. I’m yet to have a full Orient FER2D001B0 review on the site, but hopefully one day in the future I will. For people seeking the best Pilot watches under £500, this popular model from Ingersoll may be ideal for you. Ingersoll watches actually featured a few times on our list of the best watches under £1000 as they offer great value for money and are in high demand. This model from Ingersoll features a large & clear easy to read dial with lume, an automatic movement, day & date display, and a 30m water resistance rating. When I have a full Ingersoll IN1221GUBK review available I’ll add it in here. Something a little higher end this time round for those seeking the best aviation watches under £1000. Glycine are a very well known high end luxury watch brand that will be featured more than once in today’s list. This model is sure to impress with its special 21 jewel ETA caliber automatic movement, sapphire glass, and 200m water resistance rating. This watch featured in our best automatic watches list, I’m yet to get a full Glycine 3927.191-LB9B review out, though. 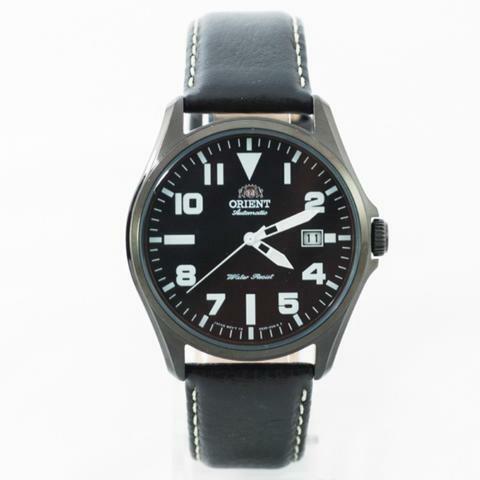 This is a bit of a pricier option from Orient this time round coming in around the mid level for automatic pilot watches. As with most of these flight watches, this model has a very clear display with large numerals for easier reading. Other features include the Japanese automatic movement, mineral glass, and a 100m water resistant rating. I’ll have a full Orient ER2A004D review coming out soon. 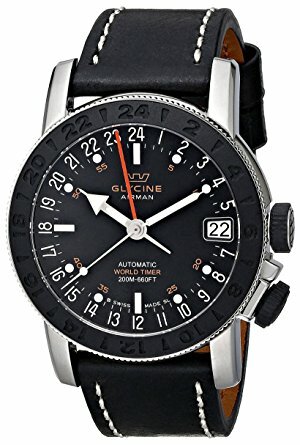 Possibly one of the most beautiful watches featured on today’s list is this luxury aviation watch from Glycine. It’s very high end and you can expect it to set you back a bit over £1000 so it’s by no means cheap. The watch is full of high end components like a Swiss GL 230 25 jewel automatic movement with 38-hour power reserve, oscillating weight, anti-reflective sapphire glass, pusher crown, and Superluminova coating. I don’t currently have a full Glycine 3919-19-LBK9 review on the site. 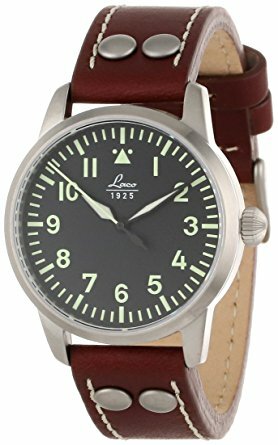 The first watch from Laco to make it into today’s list of the best pilot’s watches is this military style model. The key feature of the watch is the high visibility display with the high-quality lume. Extra features include an automatic movement, sapphire window lens, and a 50m water resistance rating. You can read my full Laco 861749 here once it’s ready. 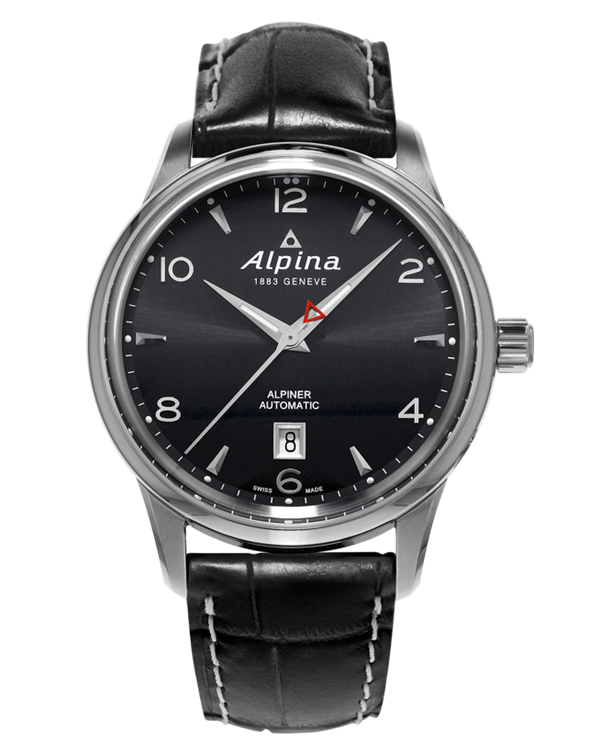 This model from Alpina is a very subtle Pilot watch with a rather simplistic dial design including a small date display. It’s a high-end Swiss made aviation watch and comes with the price tag you’d expect from this type of watch. Alpina have been featured a few times in the past on this site and I’ve always been pretty impressed with them. This model includes features like a Swiss automatic movement, sapphire glass, and a 50m water resistance rating. 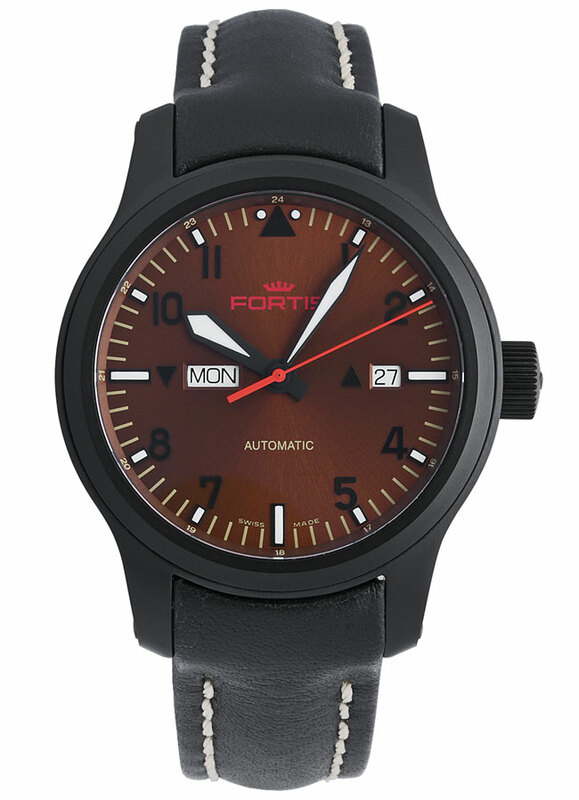 The next high end model we have comes from the Fortis brand. This is a F-43 Flieger automatic chronograph that’s in high demand. The separate date and day displays on other sides of the dial is a rarer movement that you don’t see all that often. The glass is made of an anti-reflective coated sapphire. There’s also a stunning exhibition caseback that allows you to take a look at the ETA 7750 movement. As for water resistance it has a 200m rating. Fortis also made it into our best watches under £1000. 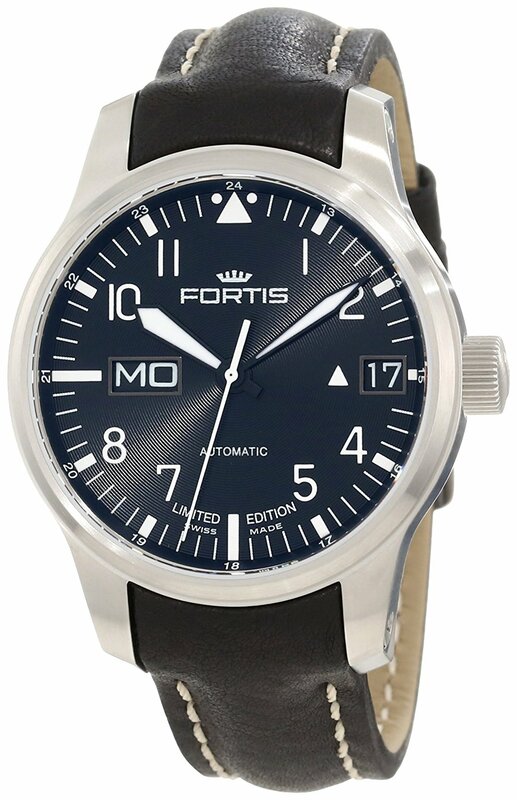 I’ll have a full Fortis 700.10.81.L.01 review coming soon. Here’s another high-end Swiss aviation watch from Fortis. This is their Fortis B-42 Aeromaster Dusk automatic timepiece. This watch has an excellent Valjoux ETA 2836-2 25 jewel automatic movement, it oscillates at a frequency of 28,800 vibrations per hour with a 42 hour power reserve, pretty impressive. Other features include a sapphire crystal glass, exhibition caseback, and a 200m water resistance rating. I don’t currently have a full Fortis 655.18.98 L.01 review on the site. 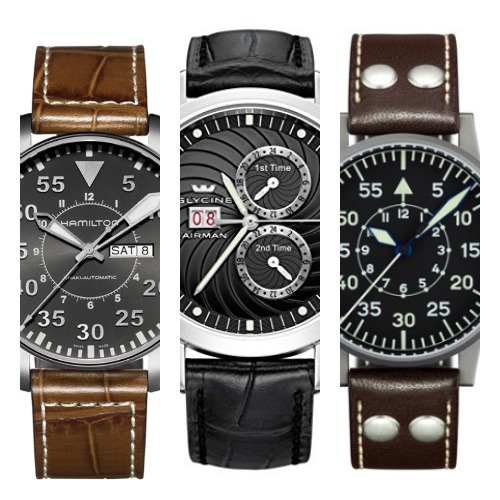 For those who prefer German made Pilot watches then Autran & Viala are worth checking. I’d consider this a mid range watch at under £500. The watch features a Swiss automatic movement ETA 2824-2, a sapphire anti-reflective glass, and a 50m water resistance rating. The display itself is clear and easy to read with a minimalist style. You can find my Autran & Viala 3.ATH.0101 review here once it’s ready. 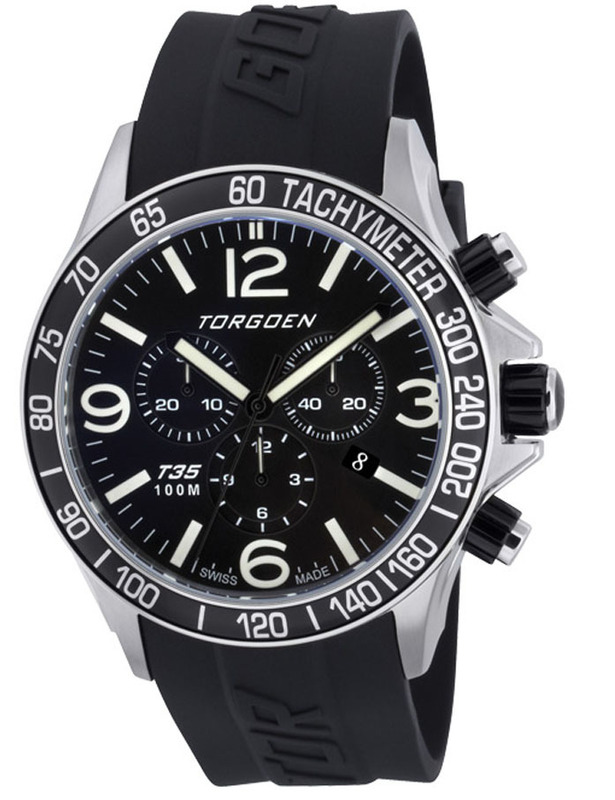 Here we have another affordable Swiss aviation watch. The lume on this model is outstanding an offers excellent visibility at night. The watch itself is Swiss made and features a Swiss quartz movement. The glass is a standard hardened mineral crystal. As for water resistance the watch has a 100m rating. The Torgoen brand have featured on a few of our top list posts in the past so it’s no suprise to see one of their watches here today. I’m yet to have a full Torgoen T35301 review ready, but once it is I’ll add it in here for you. The first model from Laco to make it into our list today, again another brand that featured as one of our top 100 automatic watches. This casing is slightly smaller than some of the previous watches with a 36mm diameter. So this is ideal for people who prefer smaller watches. Considering the price I’m quite impressed to still see a Valjoux 7750 movement, sapphire glass, and a 50m water resistance rating. The lume on this model is also to a very high standard. As soon as I have a full Laco 861798 review ready I’ll add it in here. The Seiko Prospex Solar has a much more modern feel to it than the previous watches. It’s fair to say the dial is fairly busy, but they’ve still kept the numerals and hands high visibility with their bold design & lume which I think is a good move. 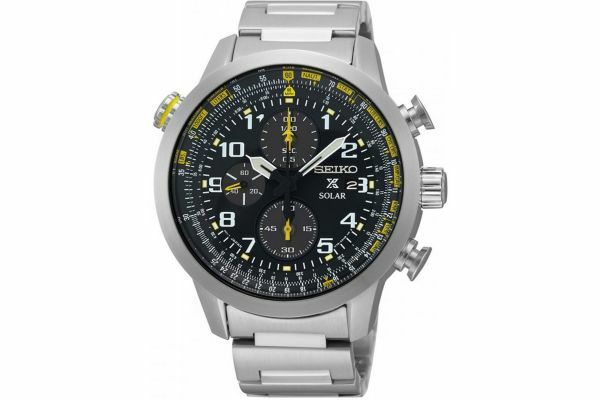 The watch is powered via Seiko’s popular Seiko Solar technology. This means it’s powered by light and never requires a battery. As for other features, it has chronograph timekeeping, a pilot slide rule bezel, mineral glass, and a 100m water resistance rating. As soon as a Seiko SSC369P9 review is ready I’ll add it in here. This is actually quite a hard watch to get a hold of, it’s so popular that it’s constantly going out of stock, luckily retailers are often getting more stock in as soon as possible. 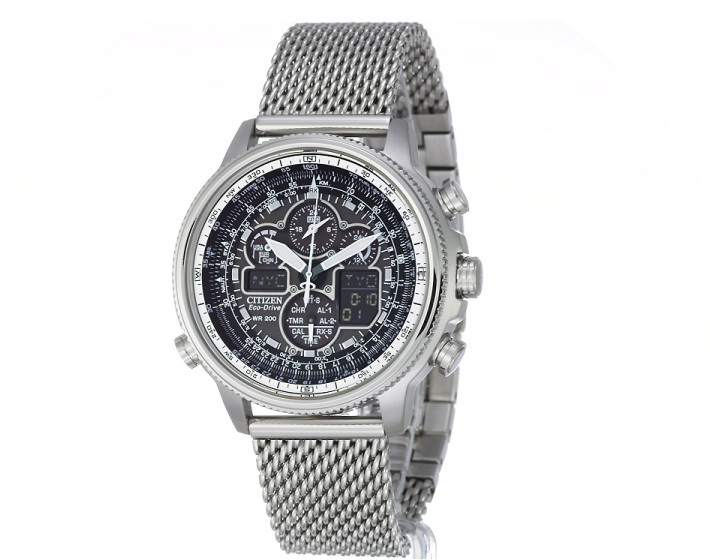 The Citizen Navihawk is an extremely impressive radio controlled Eco-Drive watch. The radio controlled nature of the watch makes it very accurate, and with its Eco-Drive quartz movement, it never requires a battery as it charges via light. I could talk for ages about how great this watch is, luckily I already have a full Citizen Navihawk JY8030-83E review here. Possibly one of the most popular pilot watches available is this incredible Bulova Apollo Moon watch. This is a replica rebuild of the Bulova’s Apollo moon watch that was used in the NASA missions. 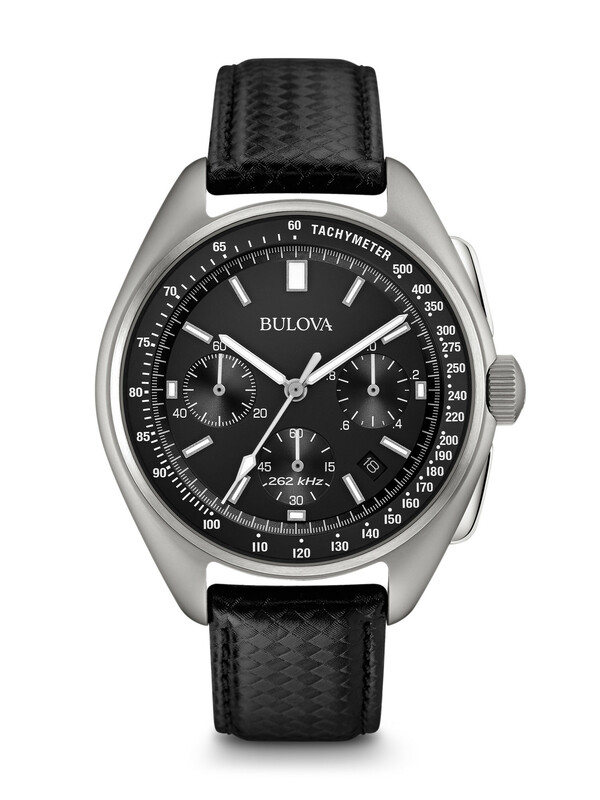 It features an ultra high frequency 262kHz movement using Bulova’s unique three-prong quartz crystal for Precisionist movement. It also features a sapphire glass, interchangeable strap, and a 50m water resistance rating. Luckily I have a full Bulova 96B251 review available where I look at the watch in depth, it’s one of my favourite watches available. If you’re looking for a serious watch for pilots then this digital aviation watch should be considered. It’s a mid to high-end watch that’s made by Garmin who are well known in the fitness/smart watches industry. 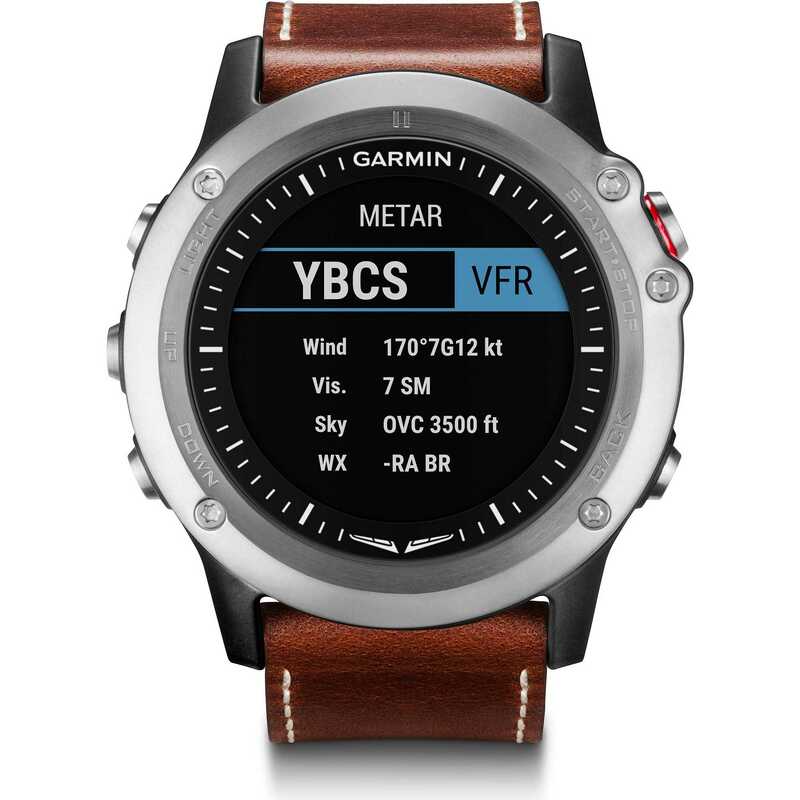 A glimpse of the features give you a GPS and GLONASS receptione, works wirelessly to bring a screenful of current meteorological (METARs) information, baro-adjustable altimeter, 3-axis compass, Zulu/UTC time reference, timers and alerts, wireless control for VIRB action cameras, black plastic case, sapphire crystal, water resistant to 100 meters, and a MIP colour display. This watch means business. I’ll have a full Garmin D2 010-01338-30 review available soon. Time for another one of my favourite mid range watch brands. Davosa are a brand I constantly find myself coming back to. 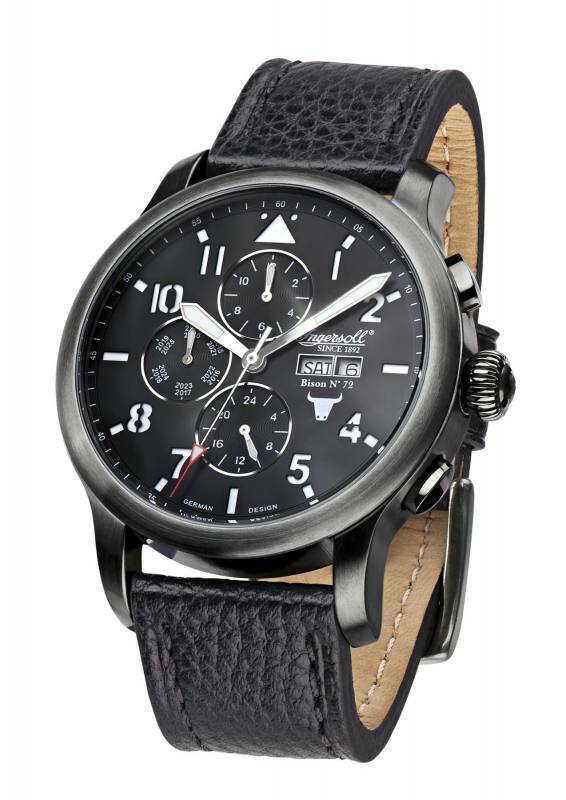 This model has a vintage military style to it with a soft genuine leather tan strap. Features of the watch include a Swiss ETA automatic movement, domed sapphire crystal, oversized crown, and a 200m water resistance rating. 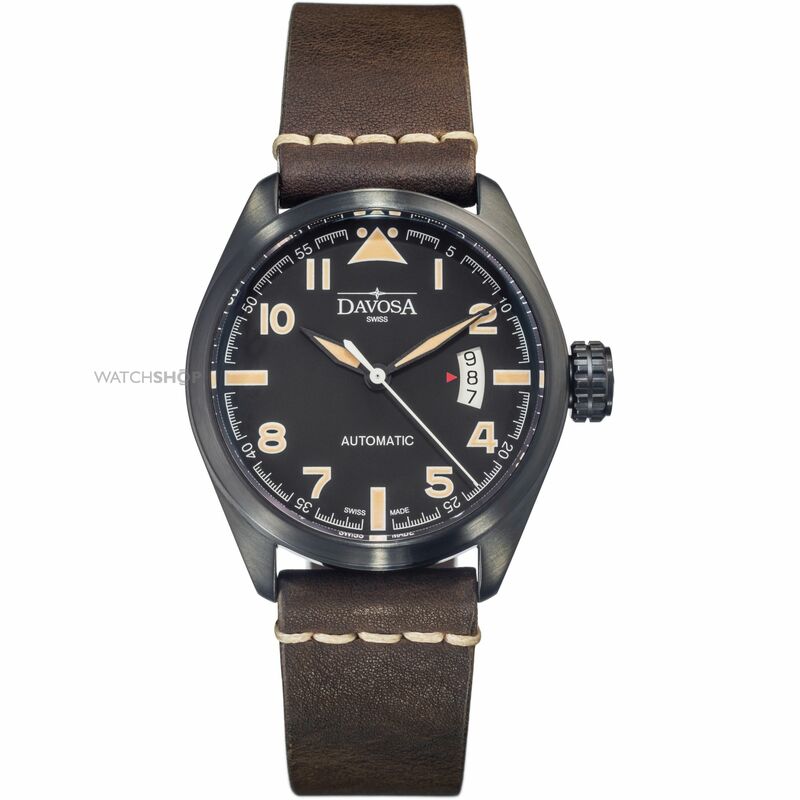 It’s fair to say you get decent value for money with this Davosa watch. I’m yet to get out a full Davosa 16151184 review, you can find more of their watches in our best watches under £1000 though. 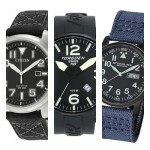 You can now also check out my top Davosa watches for men. 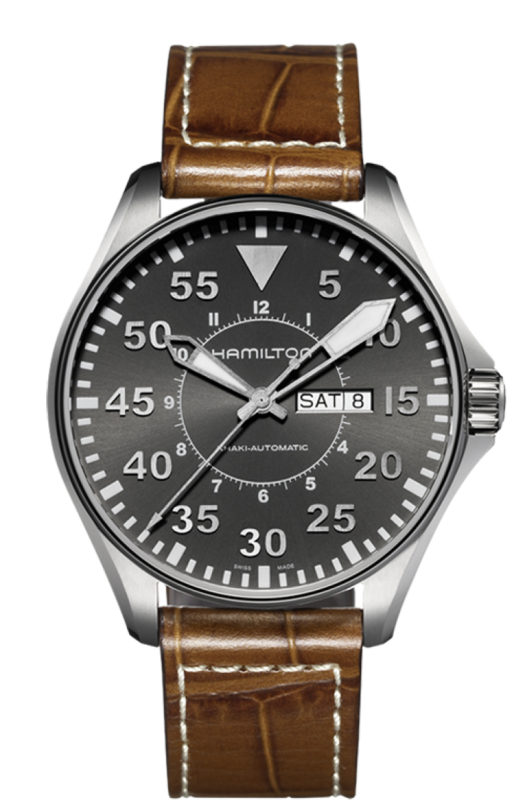 Now I wouldn’t be doing my job properly if I didn’t make you aware of the Hamilton Khaki pilot when you’re seeking the best aviation watches. This has been featured in lots of our top selling lists like the top 100 under £1000, as well as a full review. 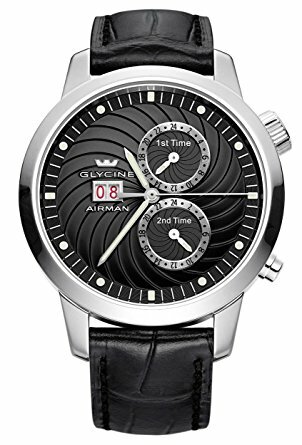 The watch is Swiss made and features a ETA 2836-2 automatic movement, sapphire glass with anti-reflective coating, and a 200m water resistance rating. You can read my full Hamilton H64715885 review here. What About Extreme Luxury Pilot Watches? We rarely take a look at the ultra expensive watches but for today’s list, I thought it would be fun to give notable mentions to some of the leading luxury watch brands. Many of these watches would set you back at least a few thousand pounds. When you hear Omega you already know it’s going to be high end. This is a true classic timepiece to add to your collection, if you can afford it. It’s one of Omega’s amazingly precise tough pilot timepieces. This stainless steel manual winding men’s watch is a replica of the first watch worn on the moon, and it’s engraved on the back with the Omega Speedmaster emblem and notation of its flight qualification for all NASA manned space missions. 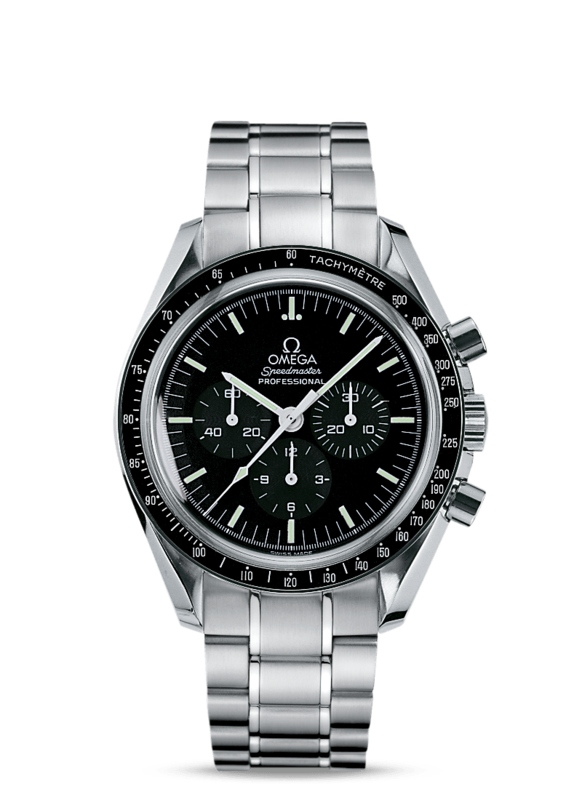 It features a Omega 1861 Caliber Swiss mechanical-hand-wind chronograph used on the Moon; 48-Hour Power Reserve. There’s no Omega 3570.50.00 review on the site, but I really recommend checking out all the details of this luxury watch. Bell & Ross are another leading luxury Aviation watch supplier. 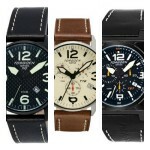 They manufacture some of the best high end pilot watches available and are renown around the globe. It’s a watch I’ll never be able to afford but I still love taking a look at these exquisite timepieces. Again, obviously, no Bell & Ross BR0192-BL-CA review as it’s not something we normally cover. IWC are one of the most prestigious watch brands going. So it’s no surprise that this watch would set you back a small fortune. There’s no doubt it’s a stunning Swiss made watch. 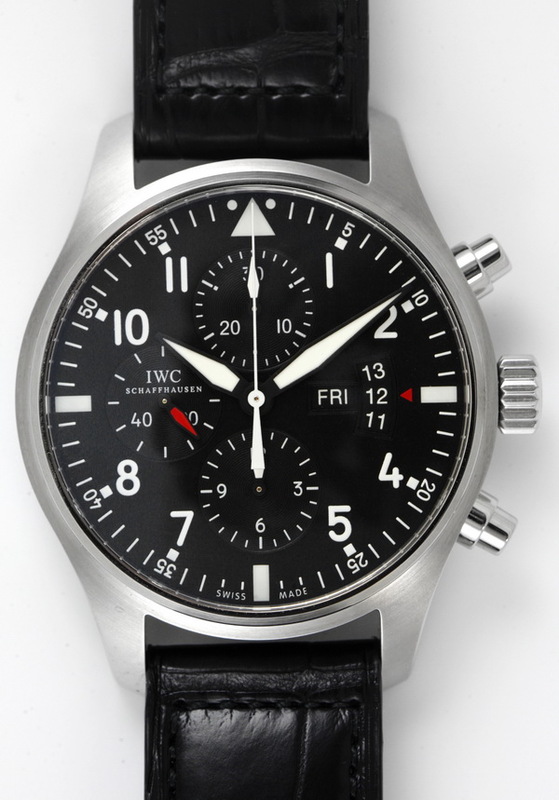 It features an IWC Caliber 79320 self-winding automatic chronograph movement with a 44 hour power reserve. If you have the money to afford one of these beauties then I’m sure jealous of you right now. If we ever get the chance to do a IWC IW377701 review I’ll add it in here. Wow, we’re going up in price still. Breitling are one of the leading manufacturers of aviation timepieces in the world. They create super luxury watches marketed towards pilots & aviation. The model I have featured, the Navtimer 01 is one of their most desired timepieces which is the go to watch for people seeking a serious Breitling timepiece. 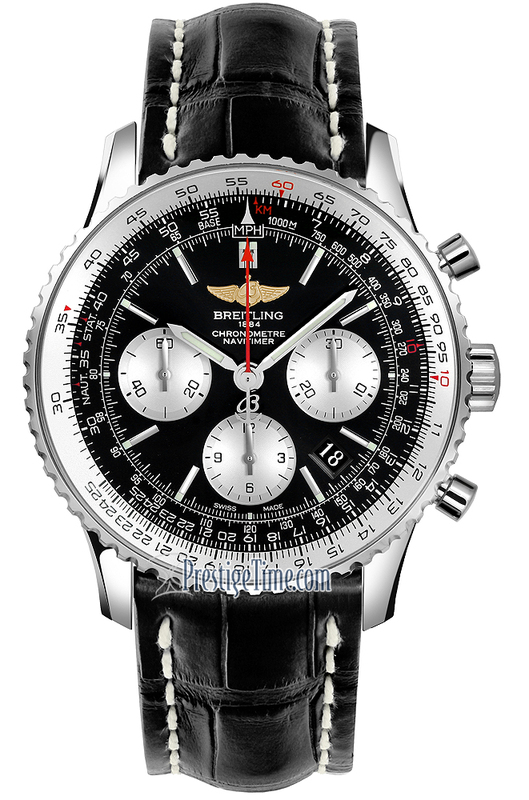 There’s no Breitling AB012012-BB01 NAVITIMER 01 review as of yet. But I may do a feature on it soon. I thought we’d finish off with one of the most expensive Pilot watches available, this stunning timepiece from Rolex. 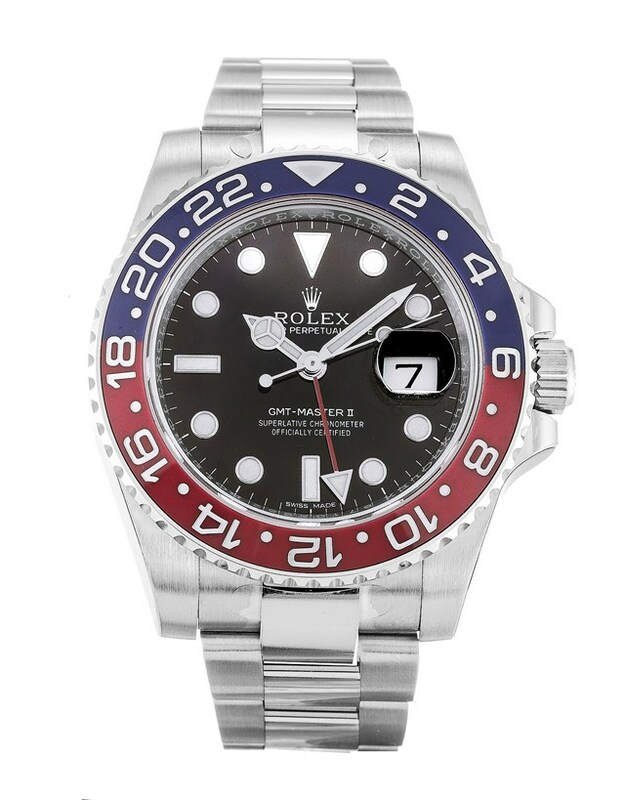 Of course, Rolex have a large selection of timepieces to choose from, the GMT-Master II series is well respected when it comes to aviation timepieces. The model featured has a 18Kt white gold case and 18Kt white gold bracelet. Other features include the sapphire crystal glass and a Rolex automatic movement. 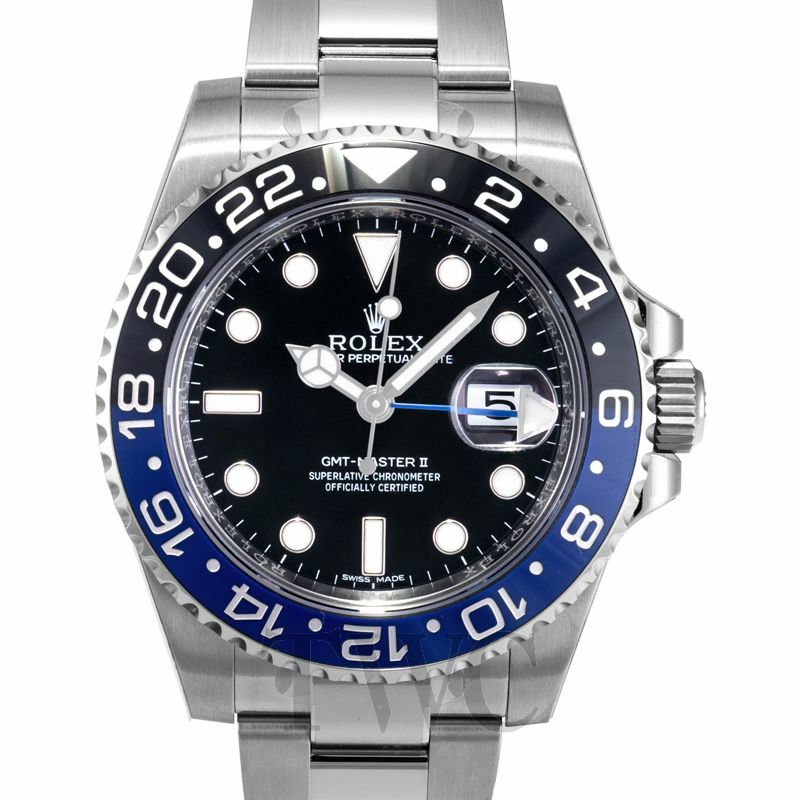 With a focus on affordable watches, we obviously haven’t got a full Rolex GMT-Master II 116719 review available for you. As always, thank you for taking the time to read through our latest post on the best aviation watches available for men. There’s a good selection of styles available in a range of prices so I’m hoping that there’s something there for everybody. 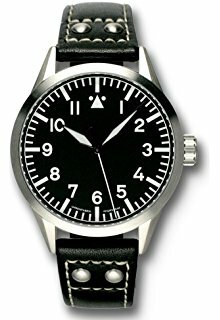 Know of a Pilot style watch that you think should have made it into the list? Let me know in the comments section below. Do you have any other suggestions for the best pilot watch under £500? Be sure to comment and let the community know. WOW I enjoyed your best pilot watches article. I have £500 to spend and am after something with a leather strap and possibly a GMT feature. Do you have any suggestions?